There are indeed similarities and differences that Muslims or non-Muslims must understand. The table (in the downloadable document below), in a synthesized and basic view, shows you an overview of the comparisons that can be made between these two sacred food codes. 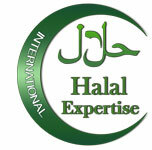 Download the full text with the differences and similarities between Halal and Kosher.